MLB Network is asking fans to identify the face of each major league team. Jones is a no-brainer, if for no other reason than that he will be here for a while. Jones signed a 6-year, $85MM extension during the 2012 season, which established him as a pillar on which Dan Duquette would build the franchise. Jones has certainly held up his side of the bargain. Since inking his deal, he has won two Gold Gloves, made two All-Star appearances, and won a Silver Slugger. Jones has also made himself a part of the Baltimore community, buying a house locally, publicly supporting the Baltimore Ravens, and building meaningful relationships with local charities. 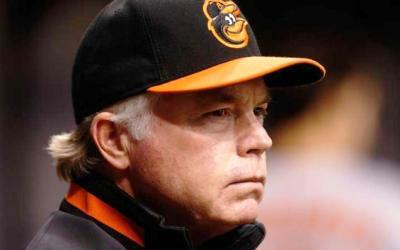 The Orioles roster is chock-full of talent, why would the manager be the Face of the Franchise? Because the new culture that took hold of this club arrived when Showalter walked in the door. He had winning record with the dismal club be took over at the end of 2011. 2012 may have been a good club performing better than they were, but it was Buck, Not Luck. He sets the tone for winning, with accountability paired with a genuine affinity for ballplayers. The smart baseball mind can be depended upon for in-game management, and for personnel decisions like Darren O’Day and Chris Davis. Manny Machado is a rising star. Not a decent player in a crop of terrible, as we’ve become accustomed to seeing from the Orioles… this kid is special. Machado puts on a defensive clinic every night, and he’s not even playing at his primary position. The 21-year old phenom is a doubles machine, and may convert some of those to HRs as he develops. Machado will be under club control for some time (FA eligible in 2019). Who knows what he will be worth on that free agent market. Machado loses points here, because the current organizational climate makes it impossible to be confident that Manny will be an Oriole beyond his first contract. Hey, if you’re going to identify a Face of the Franchise, this one isn’t hard to look at, right ladies? Fellas, don’t lie to yourselves – he’s a pretty man. Ahem. Davis went from frustrating minor league talent to bona fide MVP candidate. It’s impossible to know if the man we’ve come to know as Crush can come anywhere near his 53 HR / 138 RBI totals again, but it’s very likely he’ll continue to be a dominant hitter for quite some time. Davis’ season overshadowed a strong MVO-type season from my FoF pick Adam Jones in 2013 by simply being the baddest man at the plate. He also turned himself from a defensive question mark, to an asset. 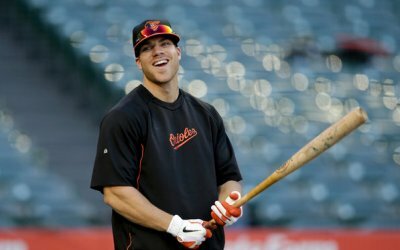 Davis can’t be named the Face of the Franchise, because the Orioles won’t commit to signing him long-term. You’ve heard the excuses (Boras client, etc. ), but the fact is, he could very well walk at the end of 2014 – either because he’s not dedicated to being in Baltimore, or (more likely) because the club is too incompetent to keep him. The Orioles stunk for 14 years. Now they’re a good team, whose window may be closing because the team has maxed out its imposed spending limit. This falls directly on ownership. The long losing streak came from ownership failure to put baseball operations in the hands of the right people… or, arguably failures to empower those people to do their jobs without interference. Now that there is hope of a better tomorrow, Angelos is guarding his wallet, which keeps the team from building up for a run at the playoffs, or to resign its own stars. Angelos is in a tough position, I’ll give him that. 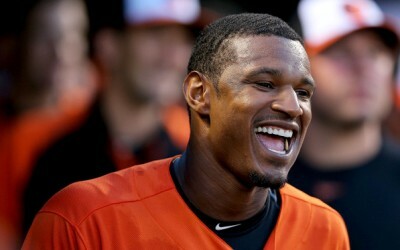 Perception among fans is that the Orioles lose because of him and win despite him. He’s a good, local guy who is simply terrible at owning a baseball team. All that aside, he is the villain in this story, and sometimes the villains get the top billing. 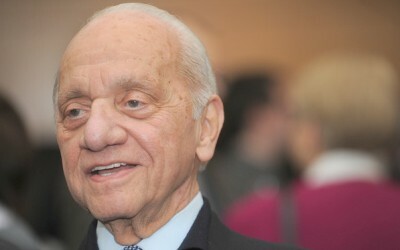 He’s a very valid candidate for the Orioles Face of the Franchise. So there you have it. Who is YOUR pick as the face of the Orioles franchise?